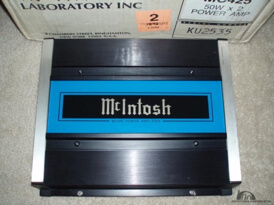 McIntosh was founded in 1949 by Frank McIntosh. The brand has stood the test of time through a commitment to providing products that produce "legendary performance." 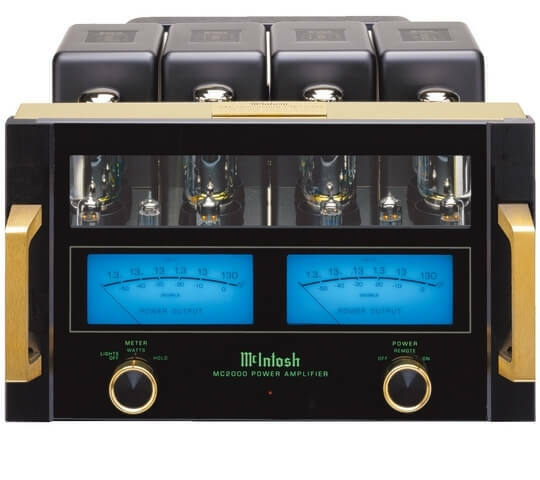 It all started with a quest to design a high quality, low distortion amplifier and has grown to a highly-respected brand that produces a full suite of products including amplifiers, speakers, receivers and high-end components for consumers today. 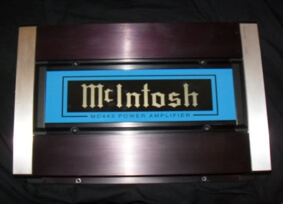 Additionally, McIntosh products are still to this day handmade right in the USA. For customers looking for the highest quality products from a reliable and well-respected brand, look no further. 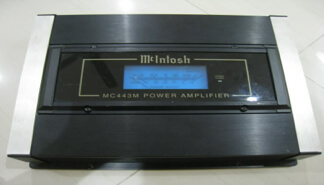 4 channel X 50w. Configurable for 4/3/2 channel operation. 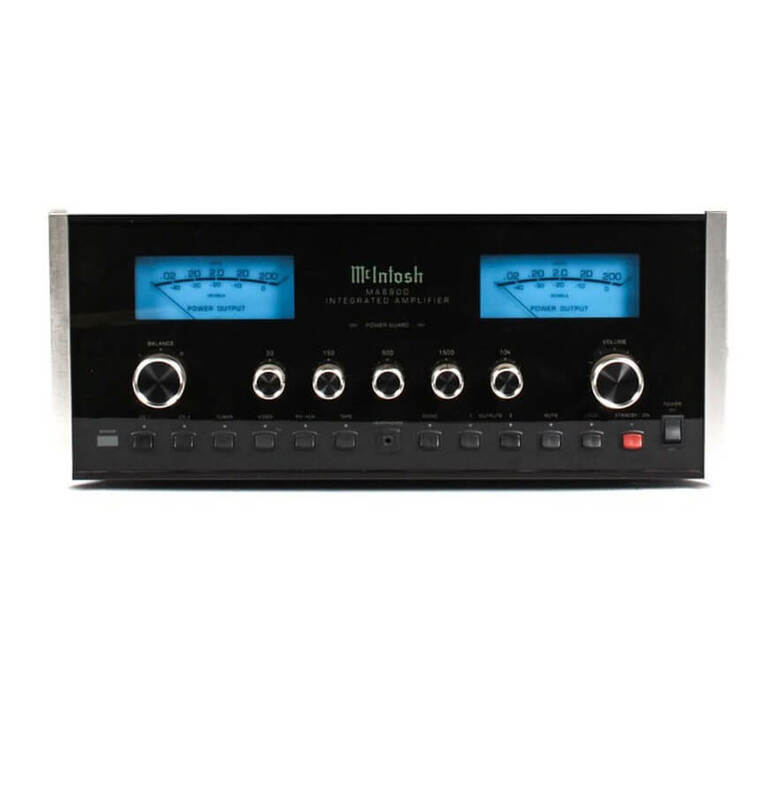 Includes built-in electronic crossover with separate high pass and low pass filters. Power Guard. Ported tunnel forced-air cooling. Multi-stage thermal protection. MOSFET PWM power supply. Input level controls. Transient protection. Gold plated terminals. 2 ohm stability. 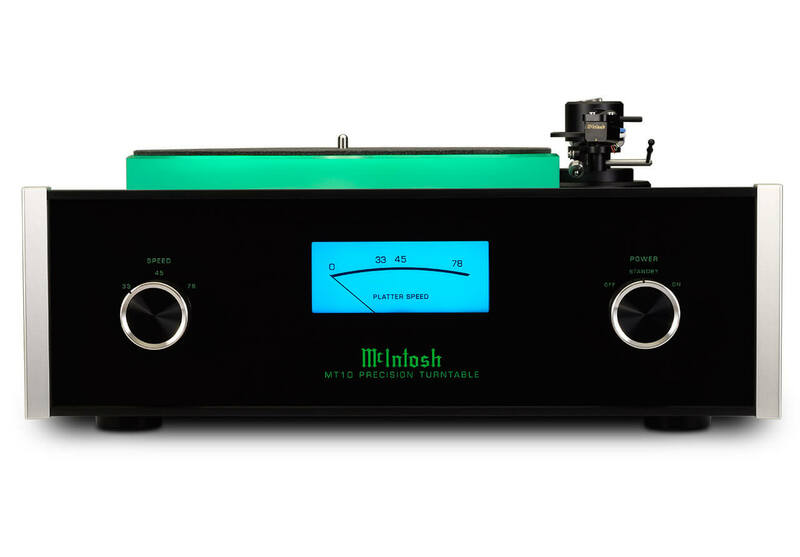 Allows internal installation of McIntosh parametric equalizer modules. Size 2-3/4"H, 14-1/4"W and 12"D. Sold from 1994-1997. 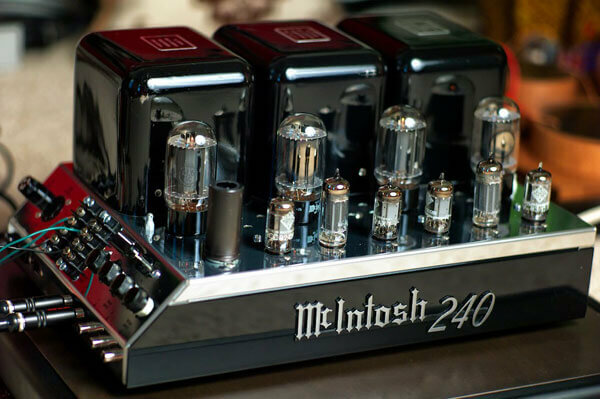 Performance identical to MC420 but with dual illuminated output level meters. 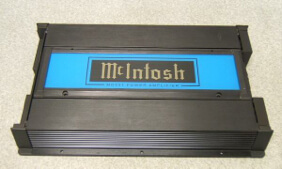 Does not allow internal installation of McIntosh parametric equalizer modules. Sold from 1994-1997. 2 channels X 30w. Power guard. MOSFET PWM power supply. Multi-stage thermal protection. Input level controls. Transient protection. Gold plated terminals. 2 ohm stability. Size 2-1/8"H, 7-1/4"W and 10"D. Sold from 1996-1997. 2 channels X 50w. Bridgeable. Includes built-in electronic crossover with selectable high pass and low pass filters. Power guard. MOSFET PWM power supply. Multi-stage thermal protection. Input level controls. Transient protection. Gold plated terminals. 2 ohm stability. Size 2-1/8"H, 11-1/4"W and 10"D. Sold from 1995-1997. 2 channels X 100w. Bridgeable. Includes built-in electronic crossover with selectable high pass and low pass filters. Power guard. MOSFET PWM power supply. Ported tunnel forced air cooling. Multi-stage thermal protection. Input level controls. Transient protection. Gold plated terminals. 2 ohm stability. Size 2-1/8"H, 11-1/4"W and 10"D. Sold from 1995-1997. 4 channel. Sold from 1992-1997. 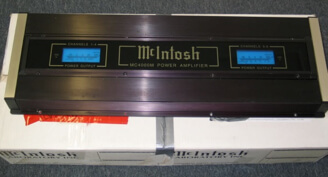 4 channel X 100w. Configurable for 4/3/2 channel operation. 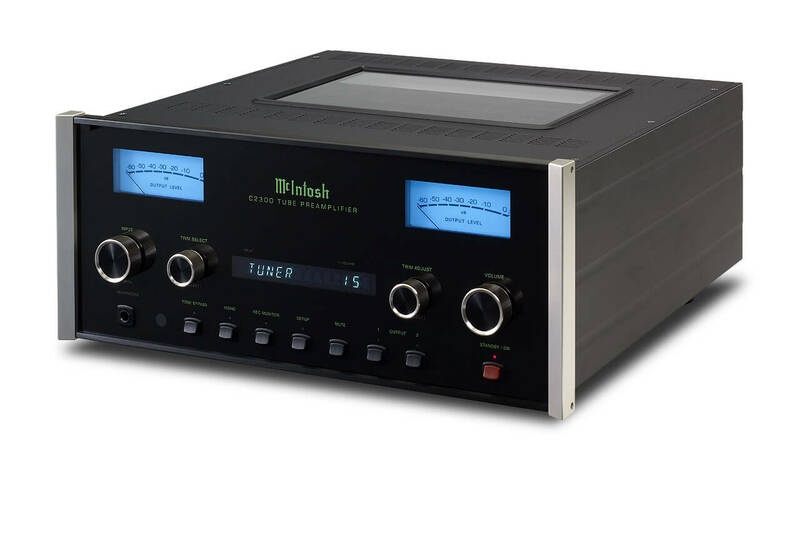 Includes built-in electronic crossover with separate high pass and low pass filters. Power Guard. Ported tunnel forced-air cooling. Multi-stage thermal protection. Dual MOSFET PWM power supplies. Input level controls. Transient protection. Gold plated terminals. 2 ohm stability. 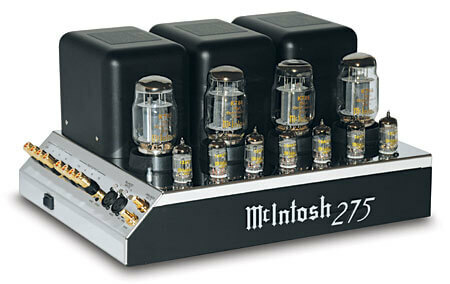 Allows internal installation of McIntosh parametric equalizer modules. Size 2-3/4"H, 18-1/2"W and 12"D. Sold from 1994-1997. Performance identical to MC430 but with dual illuminated output level meters. 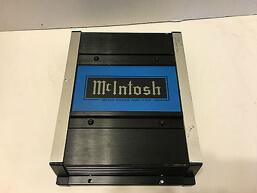 Does not allow internal installation of McIntosh parametric equalizer modules. Sold from 1994-1997. 6 channel. 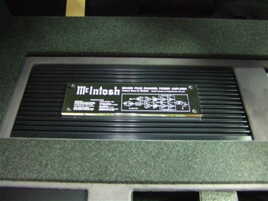 4 channels X 50w, 2 channels X 100w. Configurable for 6/5/4 channel operation. 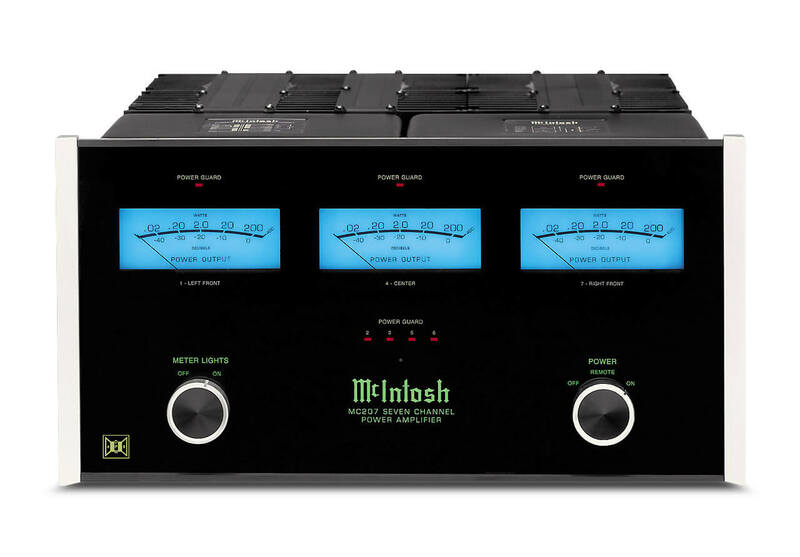 Includes built-in electronic crossover with separate high pass and low pass filters. Power Guard. Ported tunnel forced-air cooling. Multi-stage thermal protection. Dual MOSFET PWM power supplies. Input level controls. Transient protection. Gold plated terminals. 2 ohm stability. 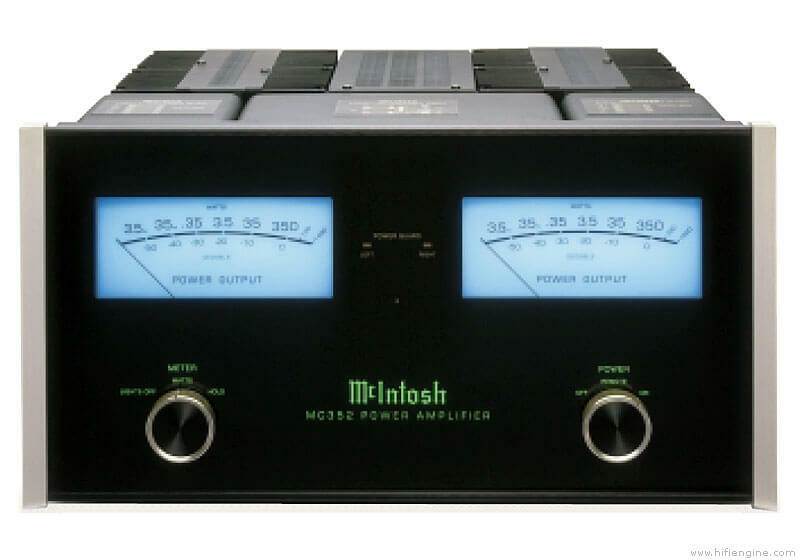 Allows internal installation of McIntosh parametric equalizer modules. Size 2-3/4"H, 18-1/2"W and 12"D. Sold from 1994-1997. Performance identical to MC440 but with dual illuminated output level meters. 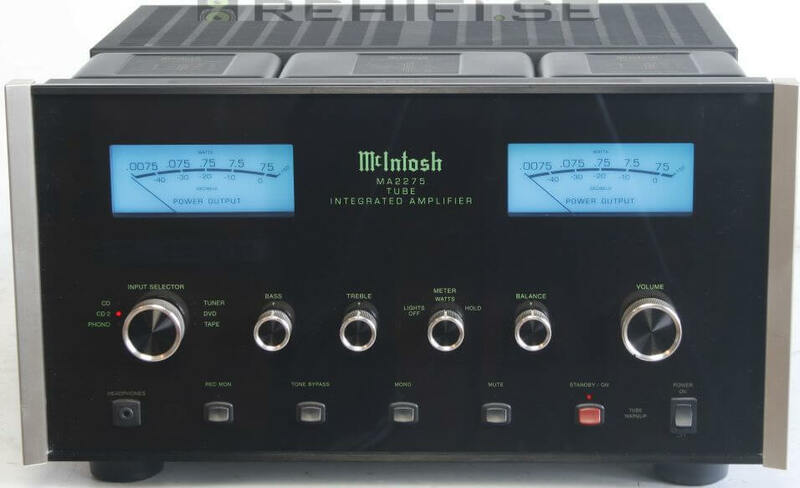 Does not allow internal installation of McIntosh parametric equalizer modules. Sold from 1994-1997. 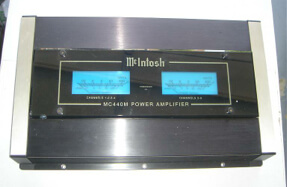 1 channel X 300w into 4 ohms or 500w into 2 ohms. Power guard. MOSFET PWM power supply. Multi-stage thermal protection. Ported tunnel forced-air cooling. Continuously variable low pass filter with 24dB/octave slope. Separate high pass filter with 18dB/octave slope. Input level control. Size 2-3/4"H, 14-1/4"W and 12"D.Sold from 1996-1997. Identical performance as MC443. 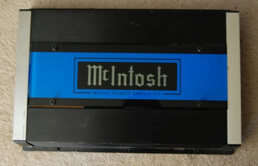 Illuminated output level meter. Sold from 1995-1997. 6 channel. 4 channels X 100w, 2 channels X 300w. Dual illuminated output level meters. Power Guard. Quad MOSFET PWM power supplies. Ported tunnel forced-air cooling. Multi-stage thermal protection. Input level controls. Transient protection. Gold plated terminals. 2ohm stability. 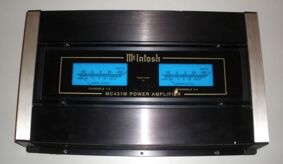 Allows internal installation of McIntosh parametric equalizer modules. Includes built-in electronic crossover with selectable high pass and low pass filters. Size 2-3/4"H, 34"W and 12"D. Sold from 1996-1997. Meter module. 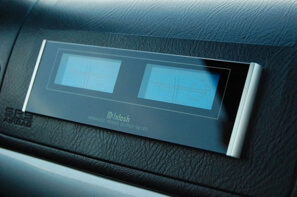 DIN mounted, dual illuminated output level meter, 200 watts/channel full scale. 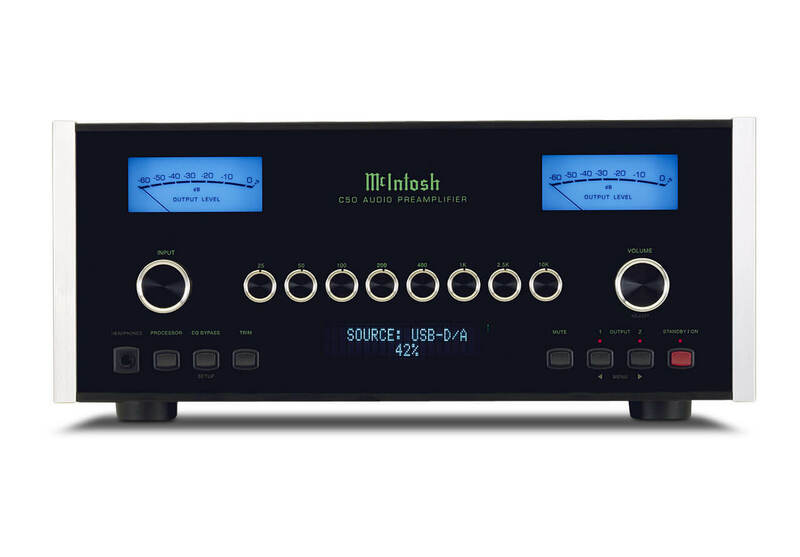 AM/FM tuner/CD player. Detachable control panel. Switchable illumination. Digital quartz clock. Mode selector. Digital control lead. Power amp turn on trigger. Cellular phone triggered audio mute. Electronic audio controls. Bass and treble controls. Audio control bypass. 4-way balance control. Audio muting. 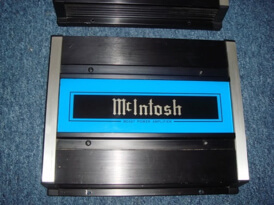 4-channel RCA line-level outputs. 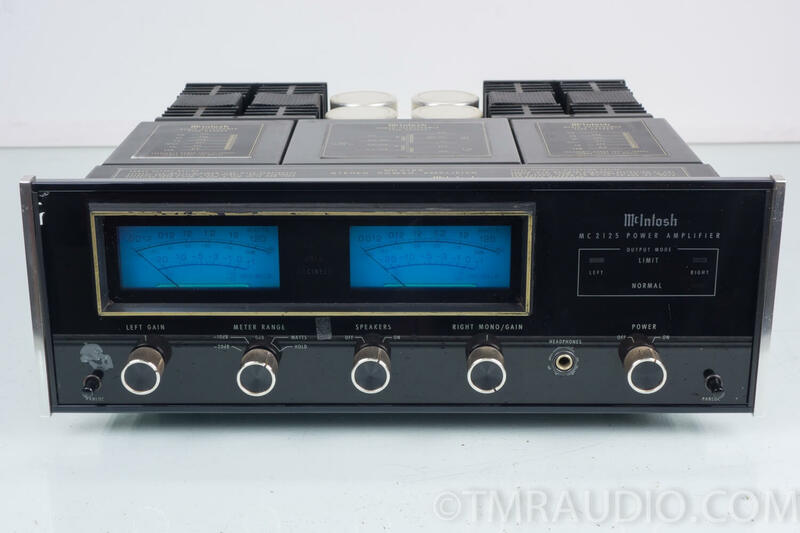 TUNER: Electronic quartz-locked PLL tuning. Memory storage for 6 AM and 18 FM. Preset station scan. Triple stage IF section. Signal actuated stereo control. CD PLAYER: Full logic CD controls. 8-times oversampling digital filter. Dual 1-bit D/A converters. Zero-bit detector mute circuit. Intro music scan. Last position memory. 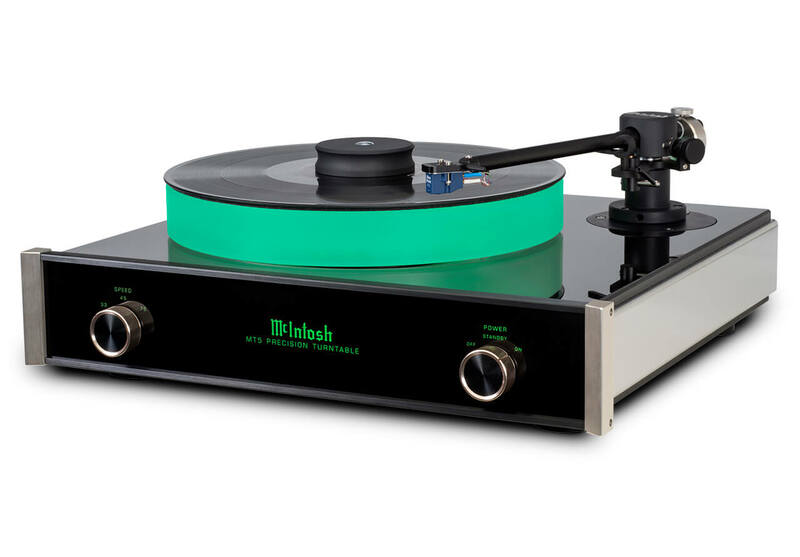 CHANGER CONTROL: Direct disc select. Play/pause select. Intro music scan (disc/magazine). Multi-changer control capability. Audible FF/FB. Size 2"H, 7"W and 6'D. Sold from 1995-1997. 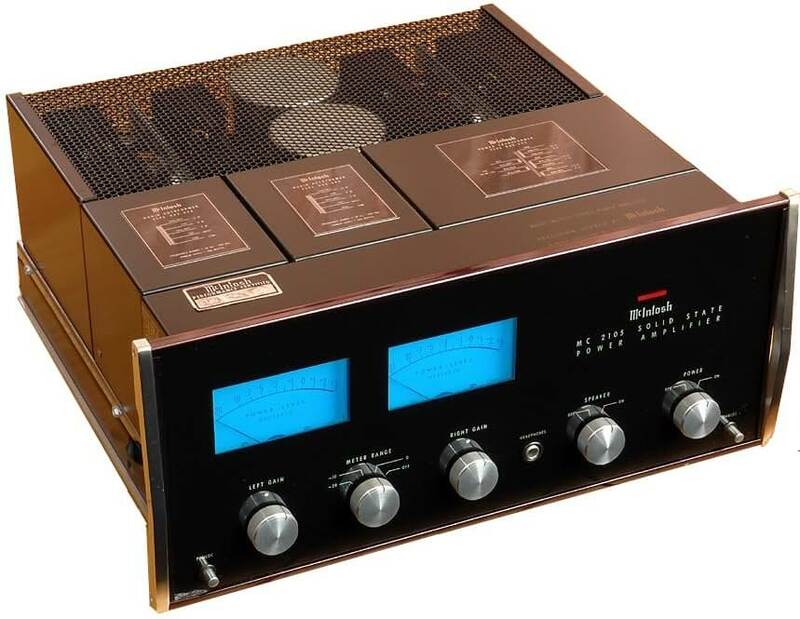 AM/FM tuner/CD player. Power guard. Low distortion analog audio controls. 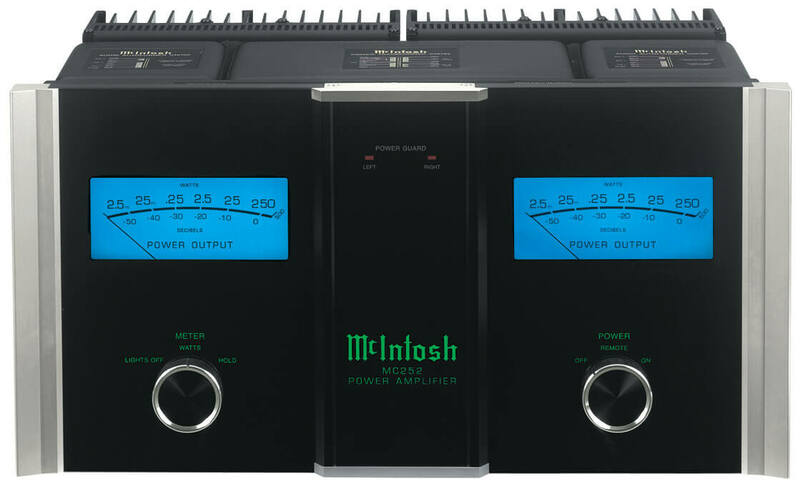 High voltage DC power supply for greater dynamic range. 8v output capability. 2-channel RCA auxilliary inputs. 4 channel RCA line high level outputs. Security code system. Cellular phone audio mute. Bass and treble controls. 4-way balance control. Digital quartz clock. TUNER: FM diversity. Audio store. Electronic quartz-locked PLL tuning. Presets for 6 AM and 18 FM. Signal actuated stereo control. CD PLAYER: Dual 20-bit D/A converters assure high level of performance. 8 times oversampling digital filter minimizes distortion and noise. Full logic CD controls. Track repeat. Last position memory. Track music search. CHANGER CONTROL: Direct disc select. 6-18 disc control capability. 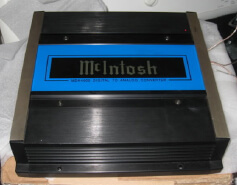 Fiber-optic digital input for CD changer. 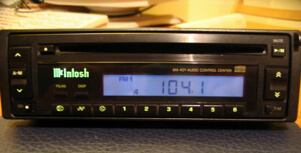 Size 2"H, 7"W and 6-5/16"D.
AM/FM tuner/CD transport. Power guard. Low distortion analog audio controls. 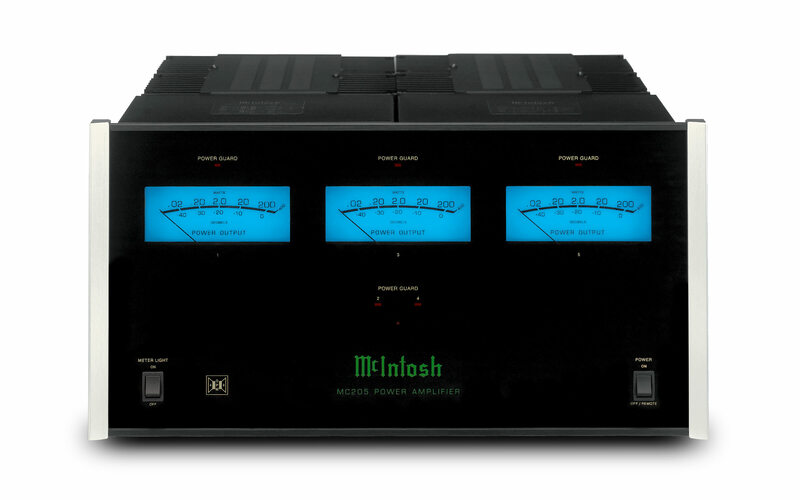 High voltage DC power supply for greater dynamic range. 8v output capability. 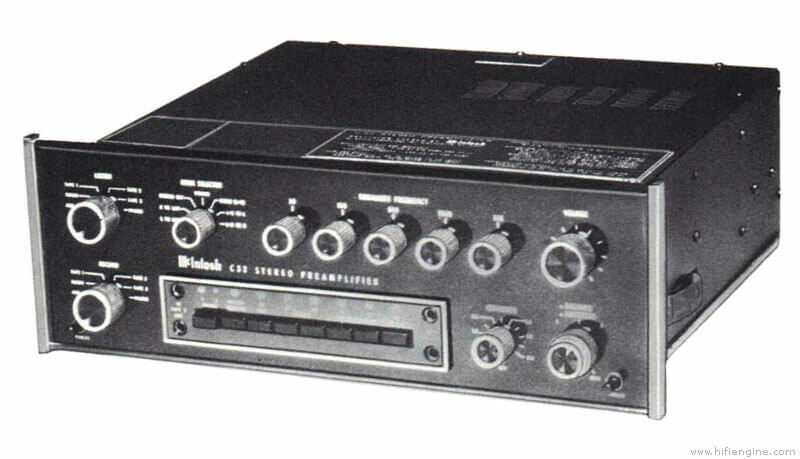 2-channel RCA auxiliary inputs. 4 channel RCA line high level outputs. Security code system. Cellular phone audio mute. Bass and treble controls. 4-way balance control. Digital quartz clock. TUNER: FM diversity. Audio store. Electronic quartz-locked PLLtuning. Presets for 6 AM and 18 FM. Signal actuated stereo control. CD TRANSPORT: Full logic CD controls. Track repeat. Last position memory. Track music search. Fiber optic digital output. CHANGER CONTROL: Direct disc select. 6-18 disc control capability. Size 2"H, 7"W and 6-5/16"D.